During May, we at Holy Cross will be engaged in a review of our liturgy, the way we worship. (The word liturgy comes from Greek meaning “work of the people.”) As an introduction to this project, I offer a very brief summary of the history and basics of worship in our Episcopal/Anglican tradition. A Fast Trip through History. Up until the Reformation in the early sixteenth century, Christians in England were part of the Roman Catholic Church and worshiped pretty much like other Catholics in Europe at the time. The Mass was in Latin. It was celebrated by the priest with his back to the people. Only a few times a year did people actually receive Communion. Most people were illiterate or at least did not understand Latin. 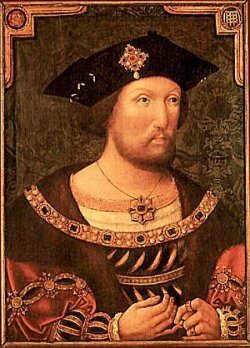 King Henry VIII took the Church of England out of papal control. The Reformation made many changes in this pattern. In the Church of England, the mother church of the Anglican Communion, these changes were more conservative than in other Protestant churches. The main aim was to translate the liturgy into English and to make all services available in one printed source, called The Book of Common Prayer. The first Prayer Book was published in 1549. It was followed by successive editions that reflected the religious struggles of the time, as the Church of England swung back and forth between Catholic and Protestant with changes in its monarch. It took almost a century for things to settle down, with a liturgy that was embodied in the Prayer Book of 1662–still the official Prayer Book of the Church of England and in use in America right up to the Revolution. During this time, Anglican worship went through a number of changes. The hope of the Reformers that everyone would become an active and knowledgeable participant in worship was never realized. Communion remained infrequent. Services were in English, but often dull and colorless. The influence of Puritanism brought a suspicion of music and ritual. Instead of a full Sunday morning of Morning Prayer and Holy Communion, Morning Prayer and ante-Communion (what we know as the Liturgy of the Word portion of the Eucharist) became the norm. Beginning in the late 1700s, and gathering momentum in the 1800s, this changed. The Evangelical revival, which led to social changes like the ending of the slave trade in the British colonies, brought more warmth and life to preaching and to worship generally. This was followed by the Anglo-Catholic revival, which recalled Anglicanism to its Catholic roots, reemphasizing the Eucharist as the central liturgy of the Church. Leaders of the Oxford Movement Anglo-Catholic revival are pictured in this period drawing. By the middle of the twentieth century (I told you this would be a summary! ), these forces of renewal were joined by new discoveries by scholars in Scripture and the history of liturgy. These discoveries led to the the 1979 Book of Common Prayer in the United States (and similar revised books elsewhere in the Communion). The 1979 Book was a change as momentous in Anglicanism as the Second Vatican Council and the end of the Latin Mass in the Roman Catholic Church. We now turn to a look at what it involved. The 1979 Book of Common Prayer. With the new Prayer Book, the Holy Eucharist (Communion or Mass) took center stage as the principal service on Sundays and Major Holy Days. Congregations that were still doing Morning Prayer gradually changed over. Participation by the congregation was emphasized, as opposed to the priest doing everything. (This went along with a new emphasis on Baptism and the ministry of the baptized.) Altars were moved out from the wall, priests faced the people, lay eucharistic ministers helped administer Communion, and people had many more parts in the service. Children were admitted to Communion at baptism, rather than having to wait for confirmation. The Prayer Book offered a rich selection of eucharistic prayers, rather than just one. 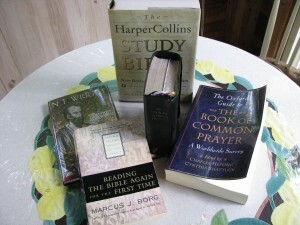 There was a new lectionary or table of Scripture readings, based on a three-year cycle; people heard readings from the Old Testament, which had never been included at Communion under the old Prayer Books. Members of the congregation exchanged the Peace. None of this came easy, though now it seems like ancient history. New discoveries in Scripture and liturgy led to changes in Anglican worship. The “new” 1979 Prayer Book is now a generation old. So is the 1982 Hymnal, a musical revision that went along with it. During the last three decades the Episcopal Church has accepted women priests and bishops, and has elected a gay bishop, our own V. Gene Robinson of New Hampshire. Most worshipers, at least in a young congregation like Holy Cross, never experienced worship under the old 1928 Prayer Book. They grew up with television, rock music, and now the Internet, iPod downloads, hiphop and much more. They are oriented not so much to text, like the Prayer Book, as to image and sound. The Episcopal Church has tried to keep up, for instance by publishing a series of supplimental liturgical and music resources. But compared to many other branches of Christianity, it is still conservative–old fashioned, would be how many young people would put it. The challenge now is to adapt to the times–without losing what is timeless to Christianity and special to our Anglican heritage. The Anglican Communion bishops did just that a decade or so ago. They said that the Eucharist was basic, as the central liturgical celebration on Sundays going all the way back to Jesus. They said that a eucharistic celebration had to have reading from Holy Scripture, reflection and response to the reading; prayers for the Church and the world; and Holy Communion with certain essentials to the prayers of consecration. In addition, people needed to be “gathered” at the beginning of a service by some combination of prayer and song. One of the ancient Creeds might be said as a symbol of belief–but this was not deemed an essential; so might a confession of sin and absolution. But a lot of other things were not “basics,” and within this basic framework, things could be changed as long as (and it’s an important “as long as”) orthodoxy theology was not sacrificed. Worship had to suit the culture and society of the worshipers, the bishops said. What is appropriate in the Chapel Royal in Windsor palace would not be right in an African village–or Holy Cross, Weare. For instance, some congregations invite unbaptized persons to receive Communion, though this is forbidden both by Prayer Book rubrics and by a canon (law) of the Episcopal Church. This invitation, while it may be well intentioned and consistent with the invitation of Jesus to outcasts, is nevertheless clearly a theological change, so I do not have authority to make it. A rubric requires that an ordained person read the gospel lesson. This is a custom of long standing, but it is at best only tangentially theological. So while I would not go out of my way to have lay people read the gospel, if we were doing a drama that incorporated the gospel reading and a lay person were playing the part that called for the gospel to be read, I would think that was acceptible. The rubrics allow us to read either one or two lessons prior to the gospel, but on a few occasions (Palm Sunday and Good Friday, when the Passion Gospel is very long come to mind) we have read only the gospel. The point is to present the Word of God in the most powerful form possible, so having only the gospel on these occasions seems to me permissible, especially when children are present. The rubrics require the recitation of the Creed at the principal service on Sundays and Major Feasts. Liturgists have long pointed out that this is a relatively late addition to the Eucharist and in some ways an intrusion or redundant to the rest of the prayers. On occasion it seems to me alright to omit the Creed, as when we have a drama. What is important is to be sure this is not taken as a sign that we do not hold up the Creed as the symbol and standard of our belief. People will differ on where they draw the lines here, and I listen carefully to discern how members of our congregation respond to possible rubrical line crossings. Thoughtful reflection on what is intended, what is meant, usually can lead us in the right way. “Come With Joy” Services. Over the past year, we at Holy Cross have experimented on various occasions with the “Come With Joy” creative liturgy ideas of Caroline Fairless and Jim Sims. These two talented and experienced Episcopal liturgists have helped us introduce drama and visual arts into our worship, particularly in ways that encourage the participation of teens and young children. Connor Houghton and Jim Sims make music of a Sunday at Holy Cross. “Come With Joy” begins not with what can’t be done, because of rubrics or otherwise, but with what could be done to maximize the effectiveness of the Sunday morning service for all ages and levels of experience with religion. What is the message of the “Word” portion of the service, and how can that most powerfully be conveyed? What is the message of the “Table” portion, and how can we incorporate all of God’s people, not just the priest and “ministers” in vestments, in Holy Communion? Sometimes to accomplish these aims, we have shuffled the order of parts of the service around a bit, combining two parts that are usually separate for instance (on May 10, a Confession of Sin and the Baptismal Covenant), substituting a creedal “I believe” song for the formal Nicene Creed. Sometimes we have sought to convey a message in drama rather than in homily or sermon. In particular, we have used music in freer ways than the usual “slots” we’re accustomed to on Sunday morning. We’ll be talking about our experience with “Come With Joy” during our May discussions. But what we have experienced and learned through these particular Sundays has helped us to reflect more generally on how we worship–and how we might worship in the future.